Jewellery as unique as you are. By post: The Silvery, Unit 1, R/O 66 London Road, Bexhill-On-Sea, East Sussex. TN39 3LE. All sales on the website go through the secure shopping cart provided by Stripe. You are also welcome to call and pay by debit or credit card over the phone or by bank transfer, please ask for details. I aim to deliver all orders for items I have in stock within 10 working days. However, if you have ordered a commission or if it is a particularly busy time of year, delivery may take up to 28 days. All shipping and handling costs are set at the following flat rate per order, regardless of location or number of items ordered: £6 (Royal Mail Special delivery in UK). This does require a signature on delivery so do give a work address or other safe delivery address if that makes life easier! I want you to be delighted with your purchase. However if your item is not as you expected, or you would like to swap it for a different size or item, please return it with details of what you would prefer and I will be happy to exchange it for you or give you a full refund. All returns to be made within 30 days of receipt. Please do drop me an email or call to let me know if you are returning an item, many thanks. Please note all earrings are exempt from this offer and for hygiene reasons, cannot be returned, unless the item is faulty. Because it is not possible to ensure that the care guidelines are always being strictly followed I cannot offer a ‘lifetime’ guarantee. However, all pieces are guaranteed for one year from date of purchase, in the unlikely event that your Silvery jewellery starts to lose its silver coating in the first year please do return in for a repair, replacement or refund. If you have purchased through a shop and not directly from The Silvery please enclose your receipt when returning. If you have damaged an item and would like it repaired, please send it to me and I'll be happy to give you a quote to repair it for you. 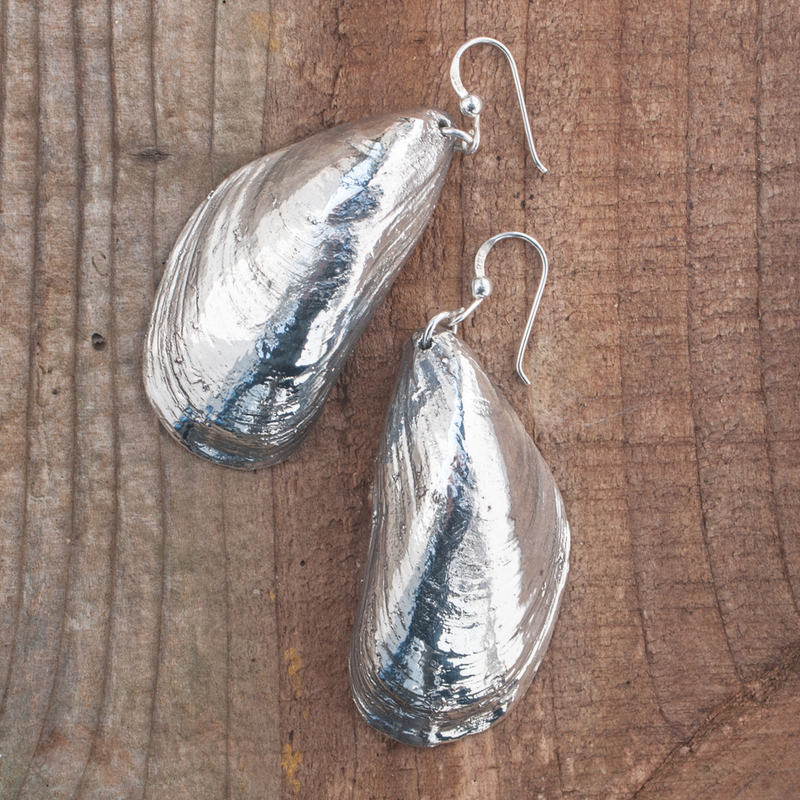 Should you lose or damage one of your Silvery earrings, I am happy to find a new 'mate' for your remaining one. Please post it to me and I will try to match it, for the cost of half the price of a pair.